Our family has been Catholic for generations and I was baptized when I was only a few months old. I remember always being woken with a start to the blaring sound of an alarm, and then having my parents drag me out of bed to hurriedly wash and dress before rushing off to our church to attend mass at night. In the blink of an eye, I was all grown up, but the church also underwent a great change. People attending mass got fewer and fewer, and most of those who did attend were elderly men and women; very rarely were young faces seen at mass. When the church held the occasional event, mass became lively and bustling, but it was as chaotic as an outdoor food market—there were people engaged in pyramid selling, direct selling, people selling insurance, people who were opening supermarkets and restaurants, and so on. Everyone was pretending to be there to attend mass but they were really there to find customers. When believers got together, they did not talk about how to worship the Lord or how to practice His word, but rather they talked about petty household affairs, or they tried to peddle their family produce; no one was there to sincerely worship the Lord. As time went on, the situation in the church got worse and worse. The priests’ sermons were unenlightening, and they would often wantonly condemn other denominations and would tell the congregation to be on our guard against them. They even split into cliques and separated themselves from other clergy members. Sometimes, because they clung to differing views, they would argue and fight amongst themselves, and the congregation also took sides and judged and verbally attacked each other, and none of the compassion or tolerance that used to be there was there any longer. Witnessing this scene in the church, I couldn’t figure out how it had come to be in such a state, and I felt an inexpressible sadness. In 2009, while I was studying abroad in Japan, I went to church to attend mass and saw that the church in Japan was just as chaotic as the church in China: The priests and the Catholic faithful spoke and acted like unbelievers, they all followed worldly trends, and they all engaged in one-upmanship and were snobbish with each other. The priests would be all smiles toward those with money and would snub those who had no money and speak to them in a brusque tone. Seeing this go on in a foreign country, I felt incredibly disappointed and confused, and I no longer felt as attached to the Lord as I had before. The morning and evening service I attended every day became a burden, and sometimes I just didn’t want to go to church to attend mass. Afraid that the Lord would condemn me to hell, however, I dared not stop going. Later, although I was forcing myself to go to church, my spirit was not being provided for and my heart felt empty. Sometimes, I would think: “How has the church become like this? Before, there were few believers and the CCP persecuted us, and yet we would still enthusiastically attend mass in the middle of the night. But nowadays, the more comfortable and easier our environment gets, conversely, the lazier people get—could it be because more people are believing in the Lord? Or because people have listened to so many sermons that there is no longer any mystique about it?” I felt so perplexed. In May 2018, my husband and I emigrated to the US with our daughter who was not yet one year old. After we’d settled down, we started to attend mass at a church near our home. Inconceivably, there were very few people in this huge, lavish church. The priest stood above us giving his sermon, while most people sat below him looked drowsy or were dozing off. 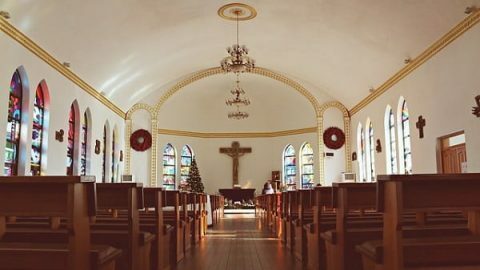 Looking at the sparsity of people and the empty seats in such a big church, and seeing the expressionless, blank faces of the people sitting there, I couldn’t even express how I felt. I wanted to go online and find some good churches, but what I found was that many Catholic churches were filled with memorial plaques for the dead and people just burnt incense and made offerings, and some church priests invited monks to come and chant scriptures, and there were many scandals involving priests and bishops…. Seeing these circumstances, I thought of the words spoken by the Lord Jesus in the Bible: “My house shall be called the house of prayer; but you have made it a den of thieves” (Matthew 21:13). From China to Japan to the United States, from terra firma to the Internet, all Catholic churches were just the same. I suddenly felt that the modern-day Catholic church had entirely gone bad. Although it appeared to be quite lavish on the outside, it was no longer a sacred place. I was at a loss. The church had become so chaotic and stagnant, so why didn’t the Holy Spirit do something about it? One day in July this year, I took my daughter with me to attend mass at church and I met Sister Kelly. As soon as we met, we felt like old friends. On the way home, Sister Kelly told me many stories from the Bible, such as the Samaritan woman who, because she listened to the Lord Jesus speak, recognized from His authoritative and powerful words that He was the coming of the Messiah. 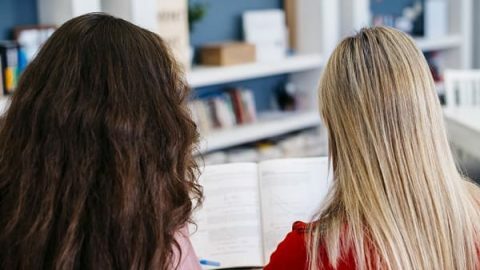 And she said that the wise virgins spoken of by the Lord Jesus not only referred to being externally diligent in reading the Bible and consistently attending gatherings but that, more importantly, it referred to being able to discern the Lord’s voice, for only by doing that could we welcome the Lord when He returns…. I felt the sister’s fellowship to be new and exciting. I had attended gatherings at Catholic churches for so long and had never before heard anyone give such a fresh, new fellowship. I felt very enlightened and my heart enjoyed it a great deal. The sister then invited me to attend their Bible study class, and I happily accepted. I met many new Catholics at the Bible study class, as well as many other Christian brothers and sisters and the preacher, Brother Liu. Seeing these brothers and sisters gave me a warm feeling inside. Everyone was exchanging experiences with each other and I felt very liberated. And so, I also opened up in fellowship to them about my own perplexities. Where Did God Go To? The brother’s question started me pondering deeply about this: “That’s right!” I thought. “At the end of the Age of Law, the temple became desolate because the Holy Spirit had departed to do His new work of redeeming mankind. 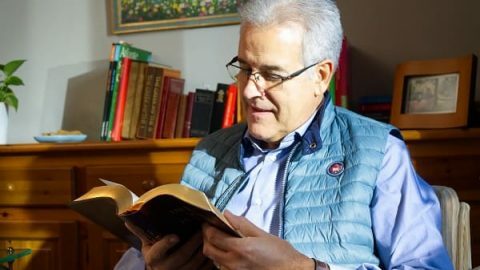 The church now has also become desolate, so where did God go to?” Thinking over the time since I began to believe in God, I had followed the prescribed order and read the Bible and attended mass. When I saw how chaotic the church had become, I had many questions, but I very rarely wondered where God had gone to! I really wanted to understand this question, and so I awaited the brother’s answer. Listening to the brother’s fellowship, I felt amazed: Could it be that the church had now become desolate because the Lord had already returned to perform a new work and we had not kept pace with it? At that moment, I couldn’t help but recall when someone had preached that the Lord had returned to perform a new work, the priest had condemned them and blasphemed against them during mass. Only now did I understand that the church had become desolate and chaotic because priests and bishops were not leading their congregations to seek and study the work of the returned Lord, but instead were resisting and condemning it. They were going against the Lord’s commandments and the teachings of the apostles, and so they were detested and rejected by the Holy Spirit and abandoned and weeded out by the Lord’s work. How Do We Seek the Work of the Holy Spirit? Just then, I suddenly felt as though I was having an awakening. As I listened to Brother Liu’s clear and concise fellowship, I became certain in my heart that the Lord Jesus had transferred to another place to perform a new work. But how could I find a church that had the work of the Holy Spirit? And so, I gave voice to this question. The brother said in all earnestness, “Thank God! That you are able to understand it in this way is entirely by the enlightenment and guidance of the Holy Spirit. If we want to find a church that has the work of the Holy Spirit, we first have to find out what work the returned Lord wants to perform. The Lord Jesus showed us the way long ago in the Bible, so let’s now examine several verses of scripture: ‘I have yet many things to say to you: but you cannot bear them now. But when he, the Spirit of truth, is come, he will teach you all truth. For he shall not speak of himself; but what things soever he shall hear, he shall speak; and the things that are to come, he shall shew you’ (John 16:12-13). The Lord Jesus told us that He yet had many things to say to us. Because people’s statures at that time were too small, they wouldn’t have understood Him even if He had said these things to them. Therefore, the Lord Jesus has more to say to us when He returns in the last days, He will tell us all the truths we need for our lives, and these truths are the truths that will expel our sins and purify us. Just as it says in the Bible: ‘Sanctify them in truth. Thy word is truth’ (John 17:17). And it also says in Revelation: ‘He, that hath an ear, let him hear what the Spirit saith to the churches: To him that overcometh, I will give the hidden manna’ (Revelation 2:17). The Lord reminds us that He has more to say to us when He returns and that He will give to us the hidden manna. When we find the words of the Holy Spirit, we will find the Lord. After listening to the brother’s fellowship, I felt light fill my heart. So the Lord’s work was forging onward and the Holy Spirit had departed from the churches of the Age of Grace and was already performing a new work—He had begun to perform the new work of the Age of Kingdom. 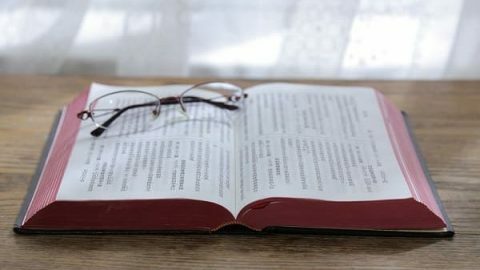 And yet when we hear someone preaching the news that the Lord has returned to perform a new work, we instead believe the outright lies of the priests; we don’t listen, we don’t try to get close to it and we don’t seek or study it. 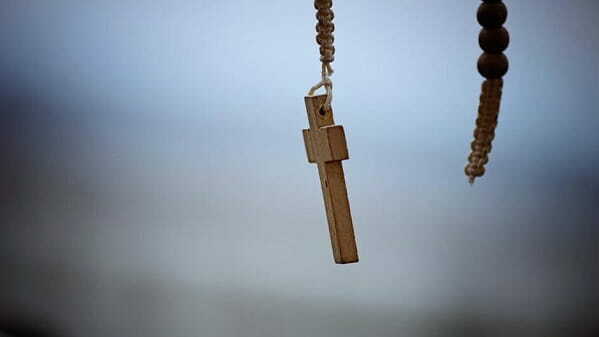 We just stick to our churches and we do not keep up with the Lord’s footsteps, and so we are forsaken by the Lord. 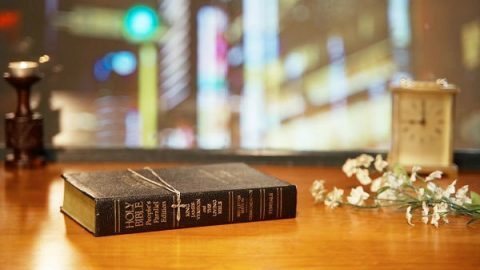 Now, only by keeping up with the Lord’s footsteps can we find a church that has the work of the Holy Spirit, and only by accepting the new work of the Age of Kingdom performed by the Lord can we obtain the work and guidance of the Holy Spirit and live face-to-face with the Lord. Over the next few days, Brother Liu fellowshiped with me in detail about the three stages of work of the Lord’s six-thousand-year management plan to save mankind, as well as about the inside story and essence of the work the Lord performs in each age. He also gave me fellowship about the difference between being saved and attaining complete salvation, what the incarnation is, how to discern false Christs, the mystery of God’s name, and so on. My thirsting heart was watered by the water of life, and my spirit was greatly satisfied. 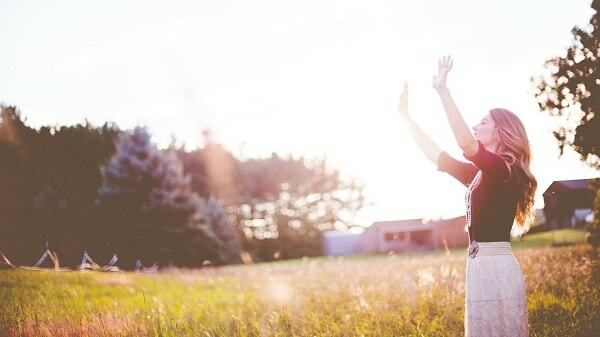 After I’d accepted the work of Almighty God, I finally saw the light. 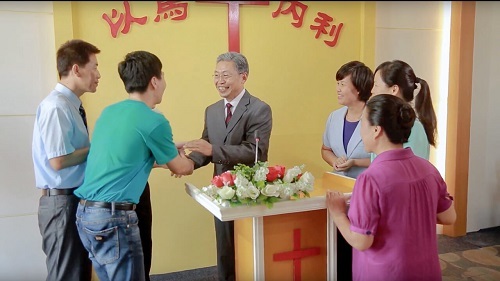 It turned out that Eastern Lightning, which is preached in China and which has elicited much discussion and is condemned by Catholic priests, is the appearance and work of the Lord, and I said with such emotion, “I’m so glad that I’ve heard this way from start to finish, otherwise I’d still be resisting the Lord without even being aware of it! 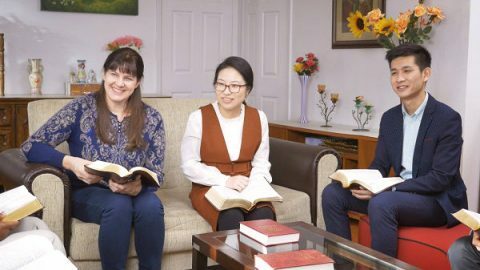 That really was so dangerous!” Afterward, I began to avidly read Almighty God’s words, proactively attend gatherings, watch gospel movies and learn hymns, and I very soon became sure about Almighty God’s work of the last days. In The Church of Almighty God, I truly came to experience the peace and enjoyment that comes from having the work of the Holy Spirit, and I felt the warmth of this large family. It wasn’t long before a sister and I bore witness to God’s work of the last days to my husband. My husband now also keeps up with Almighty God’s work of the last days, every day we enjoy being nourished and watered by God’s water of life, and our lives are making constant progress. It is the word of Almighty God that reveals all mysteries and that allows us to have discernment. We will never again numbly follow false shepherds along the path of resisting God, and we are finally keeping up with the footsteps of the Lamb. At present, the pastors have nothing to preach, and believers become cold in their faith, we believe that her experience will help you walk out of the wilderness and then come into Canaan. Believing in God or Power? Churches are desolate. Our spiritual life couldn’t gain provision, and I felt painful and weak, and even lost my way. 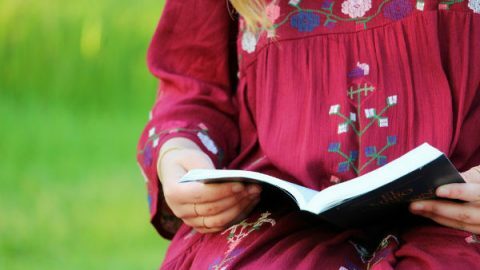 It was the nourishment of God’s word of life that made me strong in spirit and find the way back home. Can We Really Gain God’s Approval By Doing Good Deeds? Xiaomei thinks she can gain God’s approval by doing good deeds, loved to do good and gave to others. She made a resolution in her heart and practiced hard.